Members of the Iowa Democratic Veterans’ Caucus stand on the sidelines undeterred by the Reynolds administration’s treatment of them. 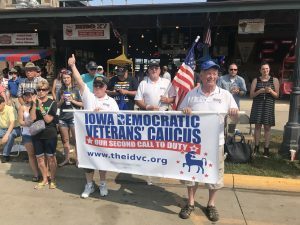 On Monday, August 13, 2018, the Iowa Democratic Veterans’ Caucus was supposed to participate in the Iowa State Fair‘s Veterans Day Parade. Unfortunately, Iowa Governor Kim Reynolds and her Department of Veterans Affairs decided Democrats aren’t welcome, and barred the IDVC from participating. She didn’t care that the IDVC has participated in the parade going back to 2008. She didn’t care that these men and women put their lives on the line to support and defend the Freedoms we all enjoy. Despite being barred at the last minute by Reynolds Administration, the IDVC turned out at the Fair on to show support for their fellow service members. They gathered at the Iowa Democratic Party’s State Fair booth in the Varied Industries building immediately after. 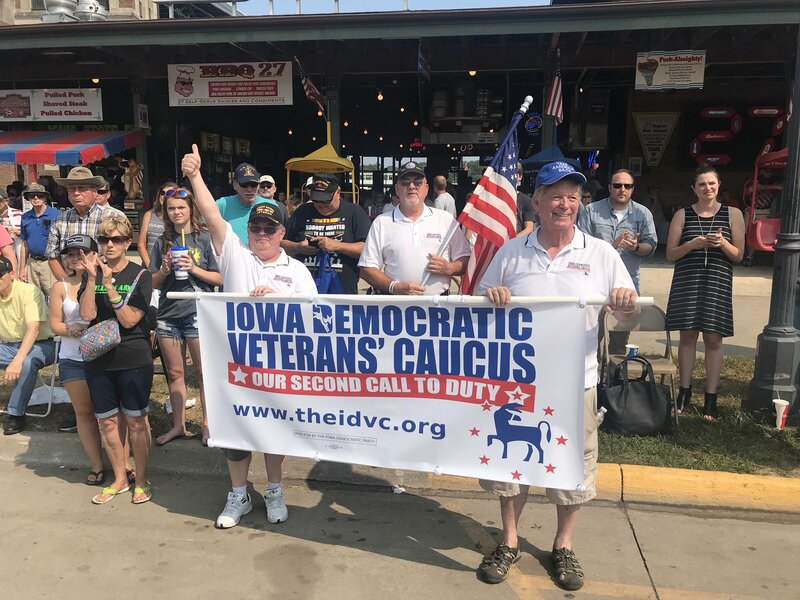 Until the afternoon of Friday, August 10, the Veterans’ Caucus was planning on marching in the Veterans’ Parade at the State Fair, as they have done many times over the years including in 2015 under Governor Branstad. They followed the correct application procedure, their application was approved, and they had already received their tickets and parking passes to participate. Veterans’ Caucus leadership received a call from a Reynolds Administration official involved with the Parade on Friday informing them that they were barred from participating because they were a political organization. When asked to produce the written rules or record of a vote by the Board governing the Parade banning Veterans’ political groups, the official could produce neither. The official is not on the Iowa State Fair Board. 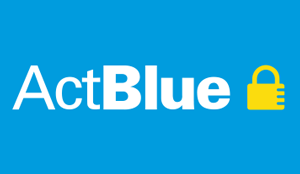 “This follows the Reynolds Administration’s pattern of retaliation against Iowans for politically disagreeing with the governor, but it is absolutely shocking that it would extend to our nation’s Veterans,” said Iowa Democratic Party Chair Troy Price. You can help these Veterans get their voices heard. Please donate! Paid for by DemVetsPAC. Not authorized by any candidate or candidate's committee.